NEW ORLEANS — I mean … was it something Stephen Curry said? On the following Western Conference possession, the Greek Freak picked off a pass, and was barreling down on the rim with only Steph in the neighborhood to defend. So the two-time NBA Most Valuable Player thought about it and made a business decision. He got himself out of the neighborhood. By laying flat down on the ground. 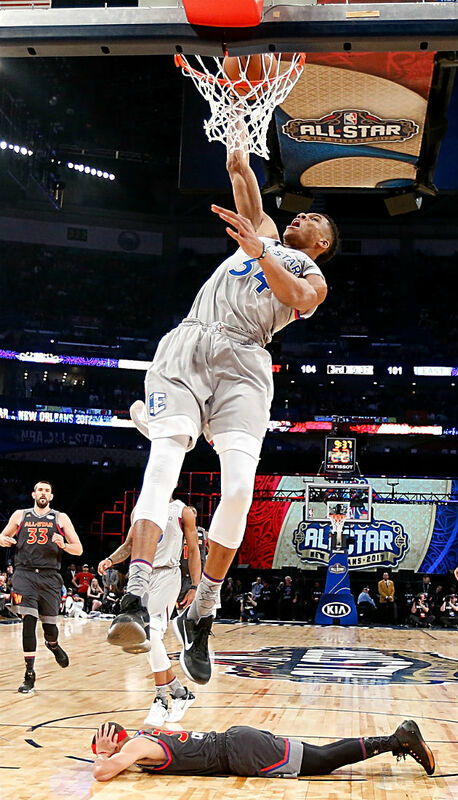 I think we can safely say that Giannis Antetokounmpo is taking his first-ever All-Star appearance pretty freaking seriously, and it certainly appears as though he’s drawn a bullseye on the back of the reigning MVP. Watch your heads out there, Western All-Stars … and hey, Coach Kerr? Maybe sub out your point guard for a minute. Protect the investment, you know? 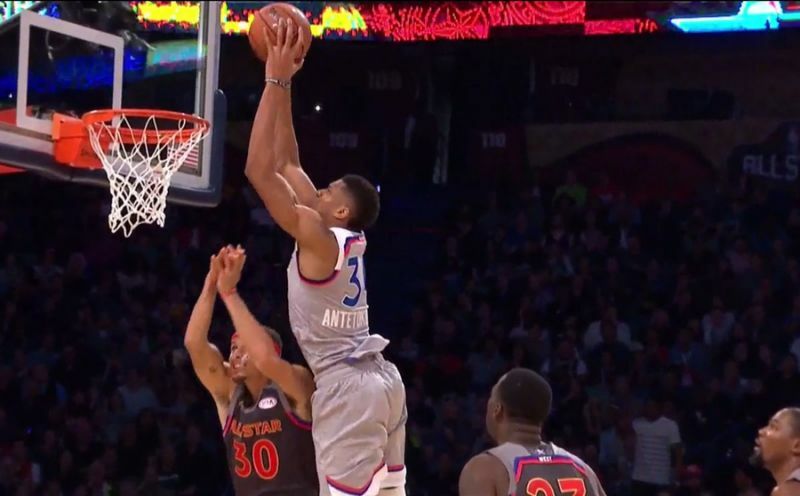 It's all fun and games in an NBA All-Star Game until someone's about to be put on a poster. Stephen Curry got smashed twice by Giannis Antetokounmpo in the third quarter Sunday at Smoothie King Center in New Orleans. It should have been three posterizations, but Steph wisely conceded on one of them. First, Giannis hits a two-handed lob with Steph under the basket. Seconds later, with Giannis steaming in from the wing for a windmill dunk, Curry hits the deck in hilarious fashion. Ah, but Curry gets in the Greek Freak's picture again a few minutes later. Players go to great lengths to not play defense in the NBA All-Star Game, just ask Steph Curry. In the third quarter of Sunday’s All-Star Game, the Warriors guard found himself as the only thing between Bucks forward Giannis Antetokounmpo and the basket. Instead of trying to defend the man known as the “Greek Freak,” Curry hit the floor as Antetokounmpo threw down a one-handed windmill dunk. It’s not like it was much different than everybody else’s defense, as the West led the East 144-139 after just three quarters. 0 Response to "Stephen Curry could not avoid Giannis Antetokounmpo's ruthless dunks forever"